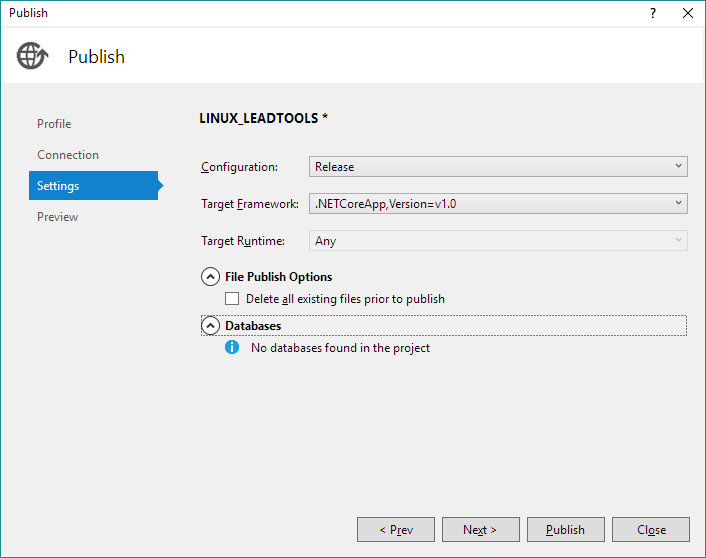 This post describes how to use LEADTOOLS (Windows or Linux) in .NET Core to convert almost any image to a PNG. This service can be used to display non-standard files in any modern web browser without installing plug-ins or third party code on the client. 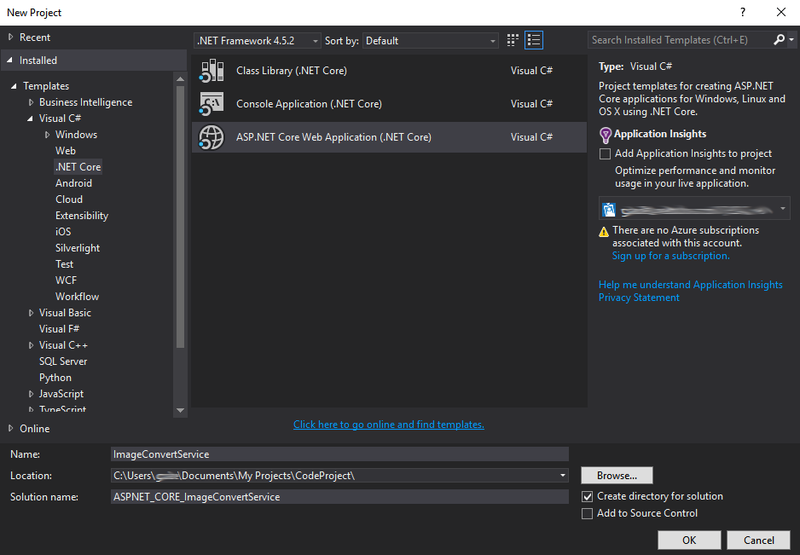 If you follow this tutorial, the resulting project demonstrates a quick and easy way to use 3rd party C API in .NET Core using DLLImport. Specifically, this project uses LEADTOOLS DLL/SO C API in .NET Core to convert files to PNG. 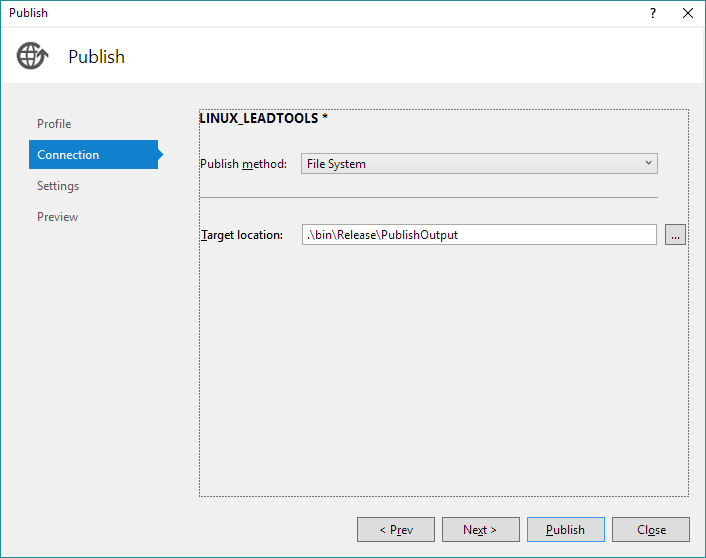 Native .NET Core support is not available now available in LEADTOOLS version 20. 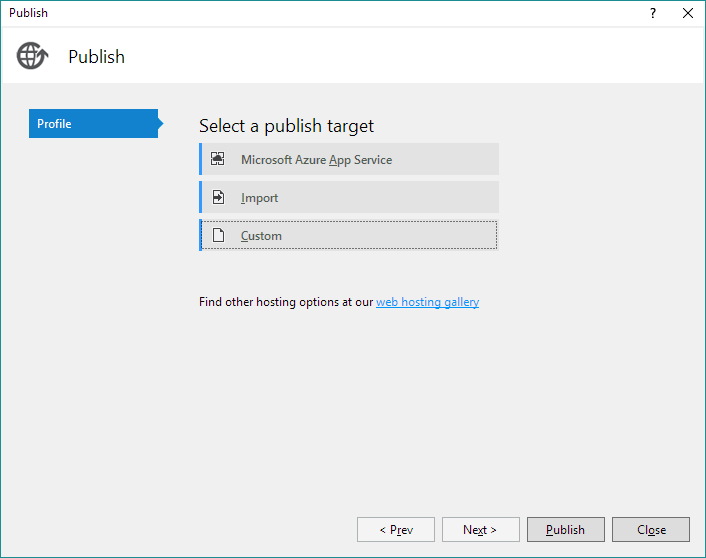 An updated blog post that uses NuGet packages has been published for version 20. 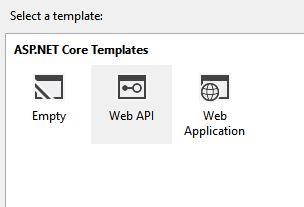 This project is an ASP.NET Core application that will convert any LEADTOOLS supported image formats to PNG. This same application can be deployed to Windows or Linux. Update the buildOptions section of the Project.json to embed the resource. The LTInterop class is the bridge between native C API LEADTOOLS Libraries and .NET Core. Below are three internal classes that correspond to Windows x86, Windows x64, and Linux (The Linux class is used for x86 and x64). These classes declare the correct extern of the C API for that platform. The static constructor in LTInterop will dynamically determine which platform the application is running and assign its delegate fields to the correct extern function. Press Shift+Alt+C to create a new class file named LTInterop.cs and add the code from below. Make sure to update WinX64BinPath and WinX86BinPath (marked below) with the path to the LEADTOOLS CDLLVC10 dlls. 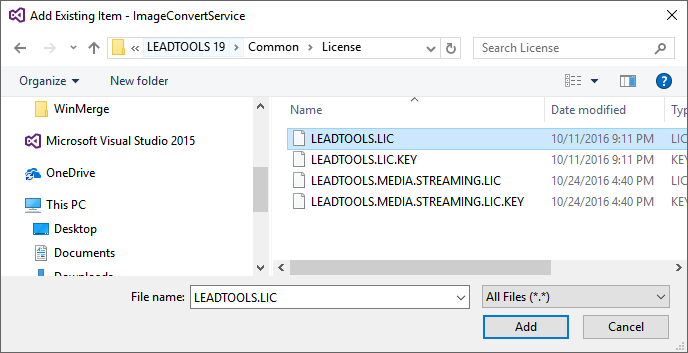 // Update the following with the path to the LEADTOOLS CDLLVC10 DLLs. // Need to call one of the SetLicense functions only once. Add the following method to Program.cs and call it first in your Main method. // TODO: Make sure the namespace and resource name matches. Reminder: Case Sensitive - even the license file name!!!! This class contains the convert method that takes a URL to an image or document as a parameter, downloads it to a temp file, converts it to PNG, then return the PNG file. Press Shift+Alt+C to create a new class file named ImagingController in the “Controllers” folder. Add the following code below. // Download image to a temp file. // Load converted file and return. Make sure you have .NET Core installed on your Linux machine. 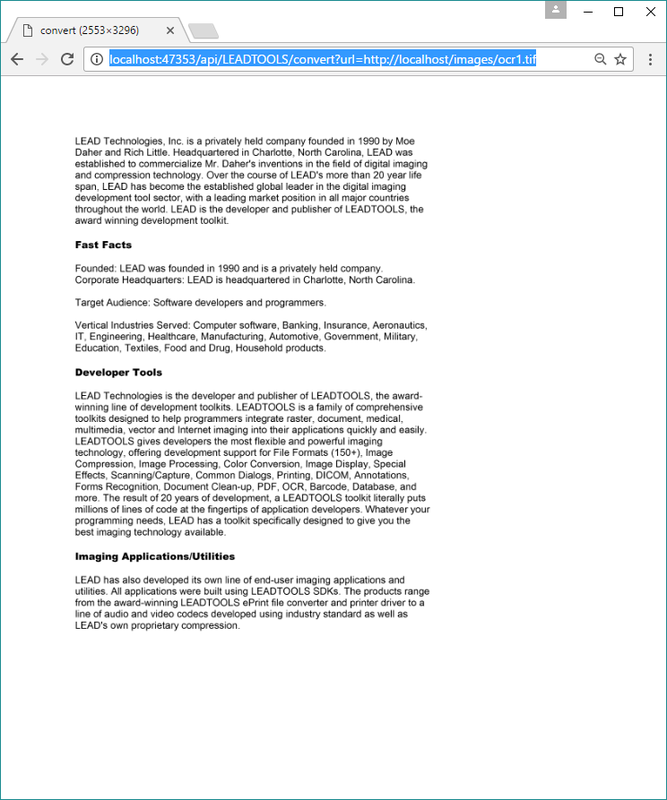 Also, make sure you have the LEADTOOLS Linux binaries copied to your machine. Use redirection to directly load and save to a stream. This project was built with .NET Core 1.0.1. If you use .NET Core 1.1.0, then it is possible that you will get the error below. 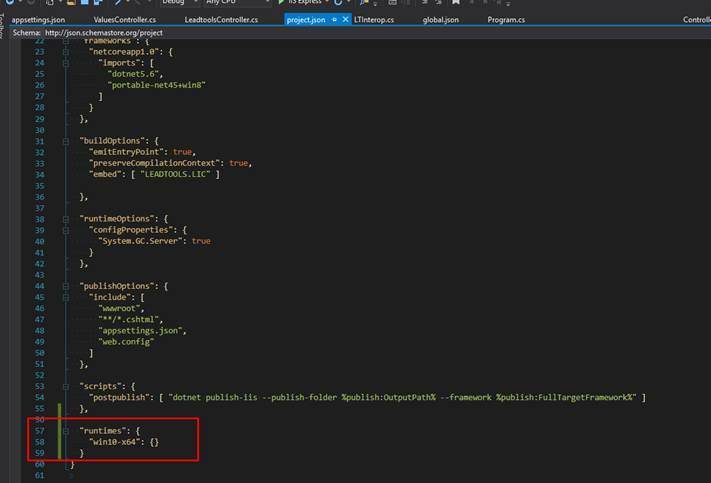 To solve the issue, update the project.json file to include a runtimes section as shown below. 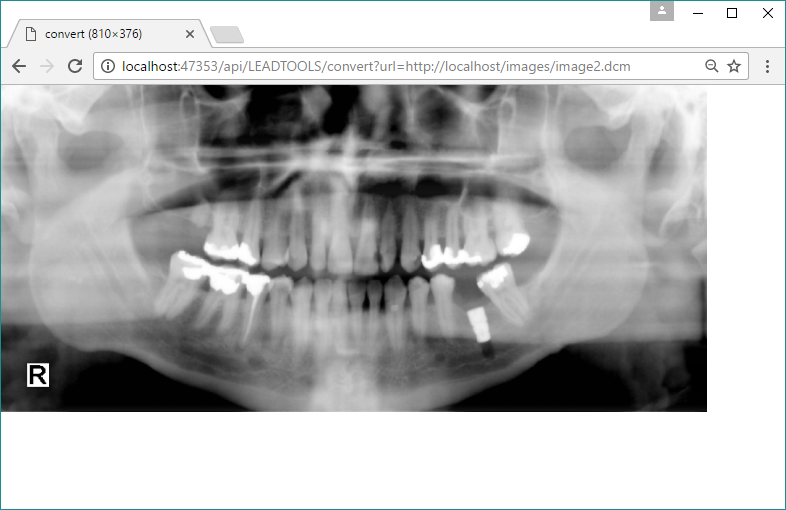 This entry was posted in General Imaging and tagged .NETCore, ASP.NET, Conversion, Web Services, WebAPI. Bookmark the permalink.